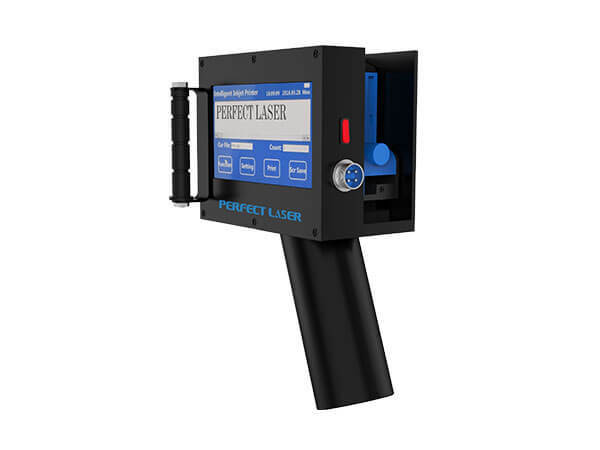 Our new product is a portable, handheld, ultra compact and light handheld inkjet printer equipped with an electromagnetic valve-based print head, a battery and wireless control. This unique portable inkjet printer weighing only 1580 grams has been developed for the users who use the freedom of marking, coding and labeling of their products at any place and at any time as the major criterion of choice. 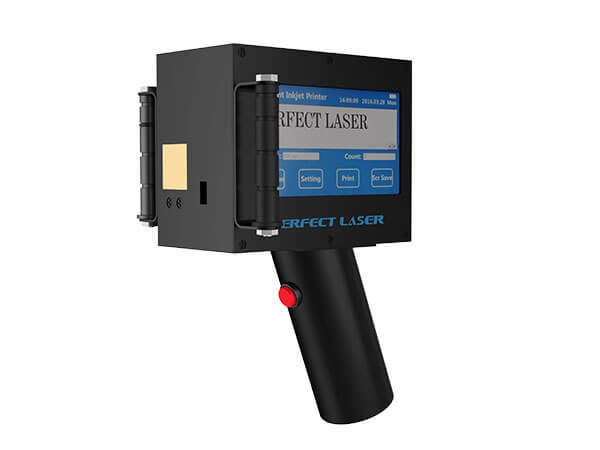 This handheld inkjet printer is also for the users who show a high demand for cost effectiveness and operating efficiency and as the same time very excessive demand for extended utility functions. The date code machine offers all basic capabilities typical of handheld inkjet printer. 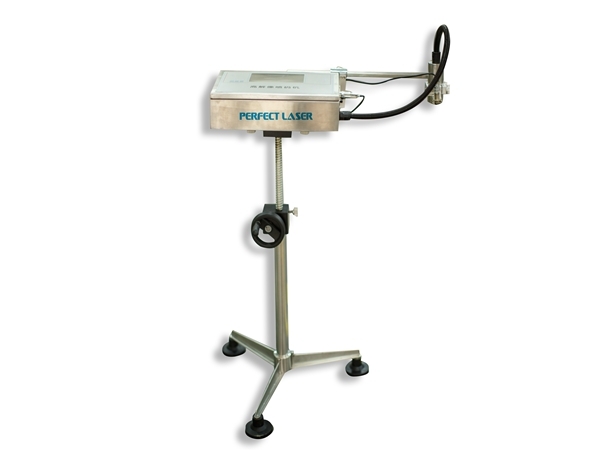 Owing to the patented printing technology employed by it, the portable inkjet coder replaces obsolete handheld coding devices (such as stencil duplicators, ink roll coding devices, which are both labor-intensive and costly in use and also problematic for ink inefficiency reasons). It also can be called handheld inkjet printer, portable inkjet coder, small portable inkjet printer, handheld inkjet marking systems, wireless inkjet printer, date code machine, portable inkjet coder. This portable inkjet printer is widely used in logistics, express, construction materials, wire and cable, metal, chemical cement, oil, elevator, wood, food and other industries. 11.Interactions with an external device to receive data from; wireless printer-device communications via Bluetooth. Used for communication, warning, disposal or other USES of national character and graphic character characteristic inflexion. 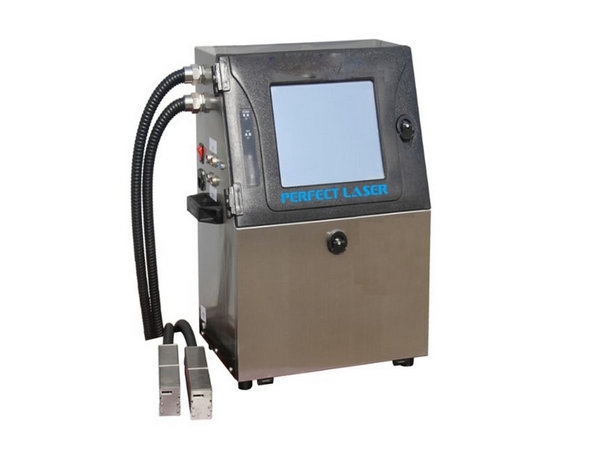 The device can spray print any date and time formats, including valid/service period, the increment or decrement the counter, general counter (universal counter can be used to calculate parts, pallet, number of meters, etc.). In the process of spray print, regardless of the spurt the code machine rotational speed is fast or slow, timing can be synchronous with the roller speed, the time interval with internal can also generate synchronization. The cartridge capacity Ink can be used to bayonet fixed container can be removed. The main components of the ink juice with alcohol, acetone and water. There are white, yellow, green, red and black are available, you can order in our directory column. 110 ml can print 7 x 5 pixels matrix of about 100000 words operator or 16 x 10 pixels matrix about 17, 000 characters. Used for water-based ink jet printing of storage temperature should be controlled between 1 to 45 degrees, the type of ink used to spray print acetone or ethanol storage temperature should be controlled between 10 degrees to 45 degrees below zero.